From HVL Front Gate, R on Hidden Valley Dr, R on Hickory, Straight on Greentree, R on Eagleview. 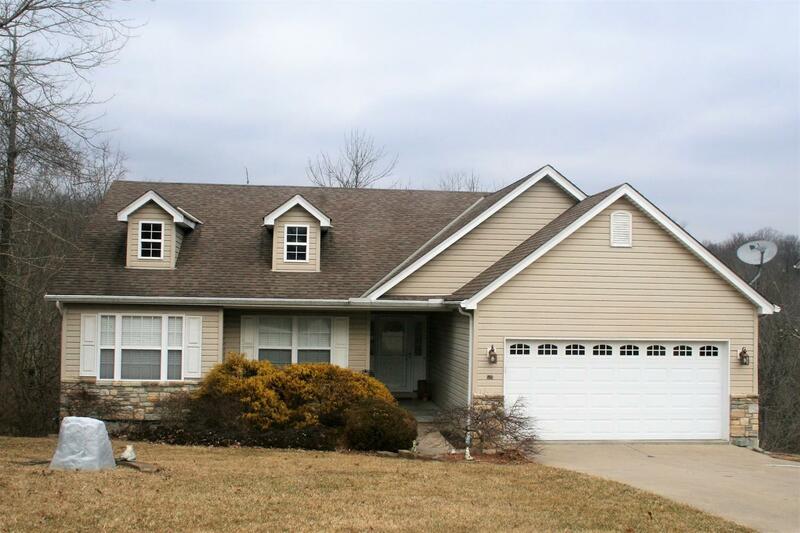 On L.
Charming transitional ranch w/lots of upgrades & great potential in walkout LL! Open flr plan has GR, kitchen, DR & nook all visually open. Vltd ceiling, corner FP, laminate & ceramic tile flooring! Kitchen offers newer S.S. appliances, hickory cabinets w/pull-outs. MSTR w/vltd sitting room & luxury BA. Walk-out LL pre-plumbed for BA. 1yr warranty.